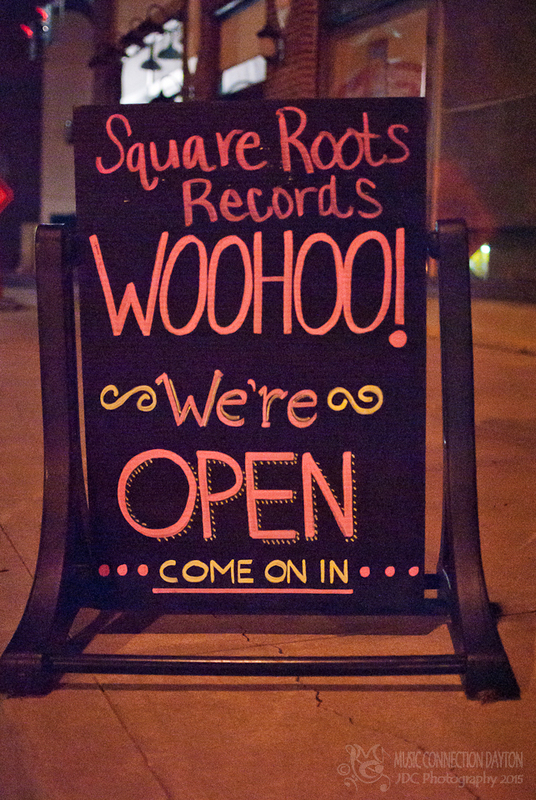 Square Roots Records opened its doors for the first time on Saturday, June 13 in Troy, OH! The maiden voyage of the Miami Valley’s newest music venue launched with a special inaugural concert and CD fundraiser for Scott Lee & The Whiskey River Boys, which also featured local favorites, Lost on Iddings! 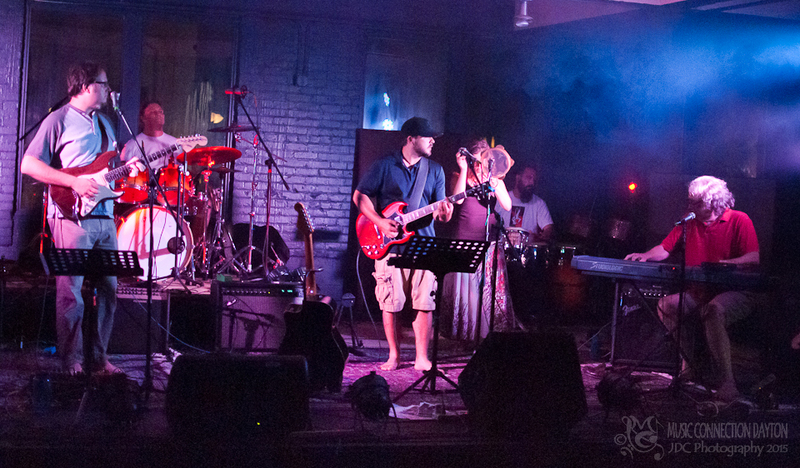 A few weeks prior to the opening, my wife, Lisa, and I made a visit to see the proud owner, Brad Denson, at his cool, new venue, and Denson was kind enough to give Music Connection Dayton a sneak peek at the new 5300 sq. ft. facility! 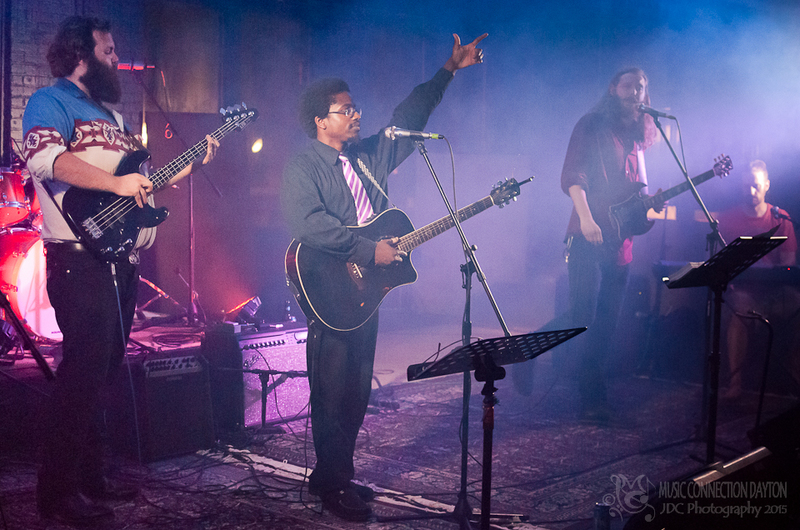 His enthusiasm for the project was infectious, and during the tour, Denson shared his vision for the multi-purpose venue, where music is the emphasis and not just a sideline to a cool social gathering! Brad began to paint us a mental picture of his dream for Square Roots Records and his plans for the opening which was just a few short weeks away. To the untrained eye (mine), the place looked like a big warehouse with an empty stage, but Denson was confident in his plans to have the place ready for the opening. I couldn’t help but wonder how Brad and his team were going to pull it off, but if there is one thing I’ve learned over the years, it’s to never underestimate Brad! A s Lisa and I walked into the building, we were both amazed by the transformation that had taken place in such a short time. 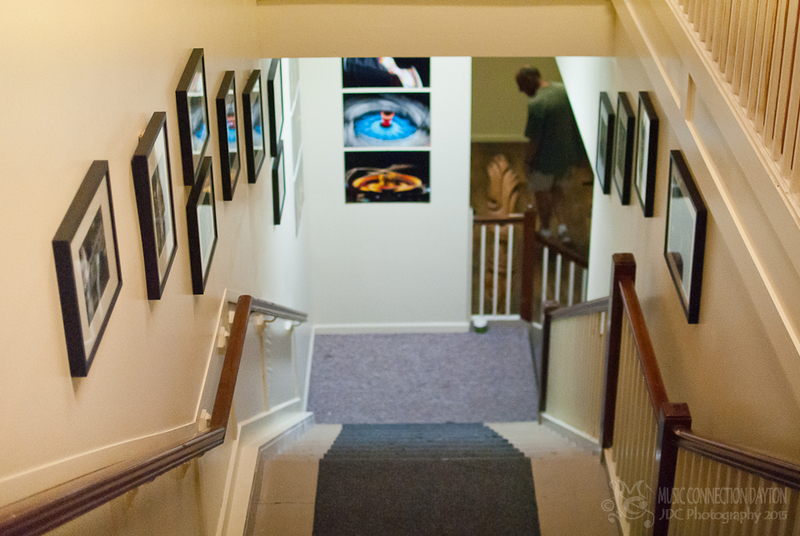 The empty foyer was now an incredible art gallery thanks to the multi-talented, Erich Reith, who garnered pieces from several fantastic local artists to help articulate Square Roots desire to support local. Each beautiful image greeted us as we made our way up the staircase to the main floor of the venue, and we were equally impressed at the makeover to the music room. What was once a dusty, dirty construction zone is now a beautiful, freshly painted music room equipped with a state-of-the art audio and video recording studio to capture every musical moment. Hometown favorites Scott Lee & The Whiskey River Boys had the honor of breaking in the huge stage! Lee and the Boys have been sharpening their skills preparing for the band’s upcoming album entitled “Hey Mirage” that’s being recorded at Square Roots Records. His 2009 solo release called “Folk the System” is a folk classic highlighting Lee’s strong songwriting abilities. Lee is outspoken and has no problem sharing what’s on his mind. His outspokenness is not to be confused with arrogance however, as Scott is one of the most humble and gracious guys on the planet. 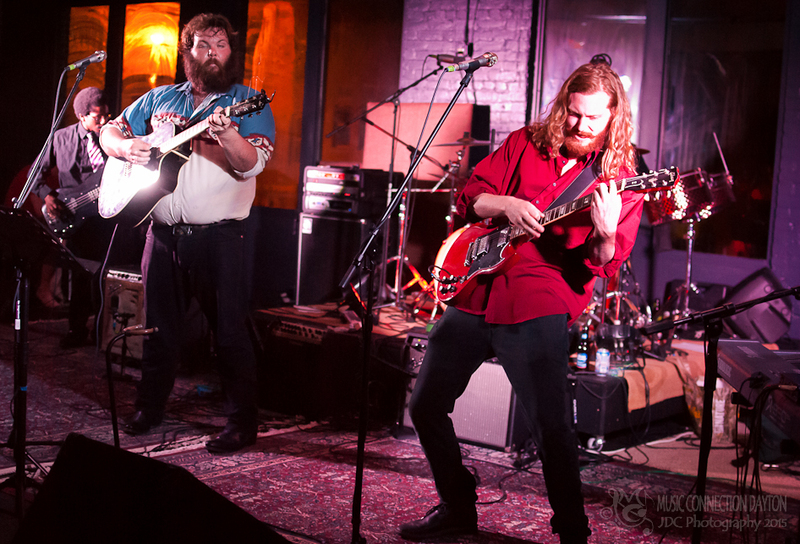 Most recently Lee has teamed up with band mates, The Whiskey River Boys, consisting of Taylor Long (Mandolin, Keyboard), Ethan Miller (Lead Guitar, Vocals), Bronson Coates (Bass, Vocals), and Mat Morick (Drums). These guys are pushing the boundaries of folk music with a fresh progressive sound that will pick you up off your seat, and this talented bunch of guys are hungry to share their passion for music. After their great opening set at Square Root Records, I’m more eager than ever for the release of the new CD by Scott Lee & The Whiskey River Boys. 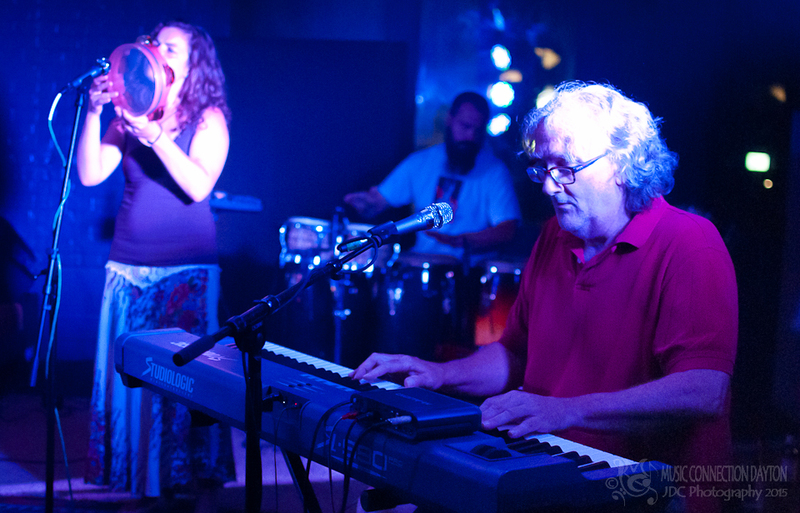 When Lost on Iddings hit the Square Roots stage it was their third gig of the day! Denson and his band of musical marathoners, Sean Finnigan (Vocals, Keys), Chris Carter (drums), Rich Reuter (guitar, vocals), Erich Reith (percussion), “Hazy” Brian Russell (keys, vocals), and Khyrs Blank (vocals, percussion) first hit the road for an early gig at the Yellow Springs Street Fair. Then, it was on to the soggy, Park Street Festival in Columbus before heading back to Troy. Their last set of the day had to be a relief for Denson and his band mates, many of whom assisted in the renovations. Denson and his LOI cohorts let loose with a killer set that included the classic tune, “Sweet Eugene,” featuring Brad on vocals. These guys have already shared the stage with New Riders of the Purple Sage and were even asked to play at Jorma Kaukonen’s (Jefferson Airplane, Hot Tuna) famous Fur Peace Ranch. I know the sky is the limit for these guys! After a long day, Denson and his fellow musicians were more than ready to kick back with a cold one and reminisce about the days accomplishments. I mentioned to Brad about how surprised I was at the transformation, and he assured me that this is just the beginning of some great things yet to come! I, for one, can’t wait to see what Denson and Square Roots Records has in store. Congratulations Brad on a job well done! For more information about Square Roots Records visit them on Facebook.